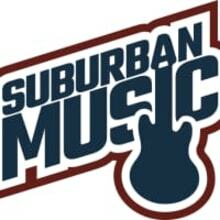 Suburban Music is a full-service music shop in Chicago's western suburb of Wheaton at 210 W Front Street since 1996. We offer high-quality instruments & accessories, rock band classes, music lessons, repairs, and rentals. Buyer is responsible for all costs associated with shipping, packaging, insuring, or returning items.